QL-20 Contour Projector - CMM Inc.
With impeccable ergonomics and a unique design, the QL-20 Contour Projector is ideal for virtually every inspection application. The QL-20 is designed to provide large measurement capability in a minimum amount of space; with more than double the image area of 14 inch systems, it has a 20" viewable screen, rigid construction for measurement stability, and patented optics for visual acuity. The QL-20 also features the innovative, new all-LED TruLight® illumination. High-quality optics means that images are fully corrected (upright and un-reversed), with virtually zero distortion or field curvature. 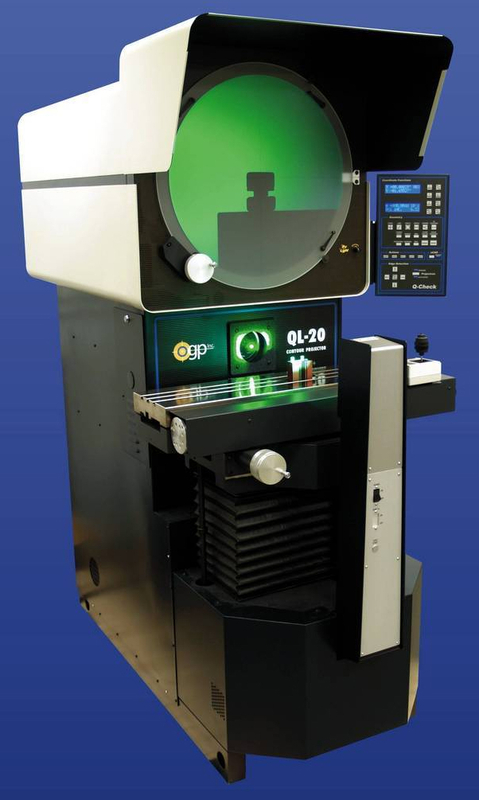 Furthermore, diffraction-limited optics allows you to measure large parts, even at the highest magnification. Lastly, the Ql-20's in-line design allows easy access to parts and fixtures. For instance, the controls are located at natural positions for fatigue-free operation and the screen and digital readouts are located at eye level.